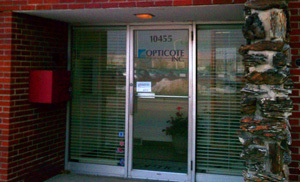 Home » Supplier Corporate Profile: Opticote, Inc.
Opticote, Inc., located in Franklin Park, IL is celebrating their 40th anniversary in business. They started out in a small store front in the Mallers Building on Wabash Avenue in Chicago, IL. They were originally known as Koloroptics. They specialized in doing thin film coating on glass and tinting plastic lenses for the ophthalmic industry. Over the years, their business grew and they merged with another coating firm called Lens-Kote in the mid 1980s. Several years later, they changed the name to Opticote, Inc. and they re-located to their current location. Donald Ellefsen started the company. In 1991, he stepped aside and his eldest son, Ed Ellefsen took on the role of President and CEO. Opticote remains a privately held company to this day. Today, in the thin film coating market, Opticote's expertise is adding anti-reflective coatings, mirror coatings and color coatings to ophthalmic lenses. They can be applied to a variety of materials. Their customer base is just as diverse. From optical labs, eye care professionals, plano sun wear manufactures to brand names in the appliance, electronics, auto and defense industries. Their current employee experience totals more than 280 years! It is easy to understand how customer loyalty has been built on quality, timely turnaround, fair pricing and customer service. Basically the whole coating experience. Over the years, Opticote, Inc. has weathered the upheavals in the market place by listening and working closely with their customer base. They have anticipated and acted upon coating trends and product development. For example, (and a reason why you are reading about Opticote, Inc. in Safety & Health magazine) they heard comments from workers who had to wear prescription safety eye wear. The workers complained about their vision being impaired from condensation on the lenses. Opticote worked in partnership with a customer who supplies safety eye wear to this marketplace. Opticote developed a fog free coating that could be applied to the prescription safety eye wear. The coating allows for the wearer to see clearly without the fear of their vision becoming compromised in the workplace. So remember, the next time you put on your prescription eye wear, sunglasses or turn on that washing machine, dryer or cell phone; Opticote, Inc. may have coated it or had a role in the development of the finished product.